Control the path of a drop of water as it travels through the water cycle. Many alternatives are presented at each stage. Determine how the water moves from one location to another, and learn how water resources are distributed in these locations. Relate this gizmo to the Calgary region and ask more specific questions about our water cycle using anoth... (more)er website..
Big Idea 7 - Water Cycle Sim. I make my students first copy each word and the explanation given. Then they play the Gizmo. This helps them connect vocab to process. 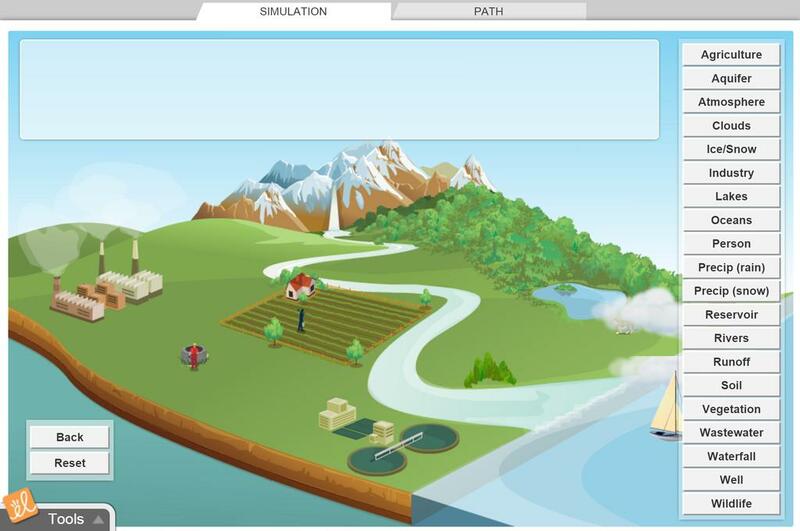 Great for helping students visualize the many pathways of the water cycle. This was a lot of fun for the students and reinforced what we learned from prior lessons.